With the colder weather here it’s important to stay active not only for your health but I also find it helps you stay positive. Especially if you’re like me and the colder temps cause you to want to become a hermit and just stay inside forever! 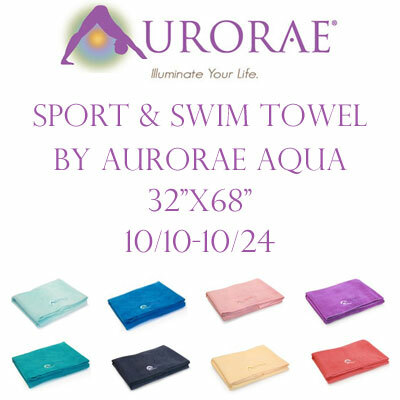 I’ve teamed up with some other bloggers to giveaway an Aurorae Sport and Swim Towel to keep you looking stylish while hitting up a new yoga class or the gym! Good luck! Aurorae is a Small Family Business and Your Satisfaction is Our Priority. Please note Care Instructions to preserve towel softness, absorbency, and durablility. Always wash in cold water and tumble dry low. Disclosure: I (Nelle Creations) did not receive compensation for this post and is not responsible for prize fulfillment.